To guarantee a successful trip, follow our tips. 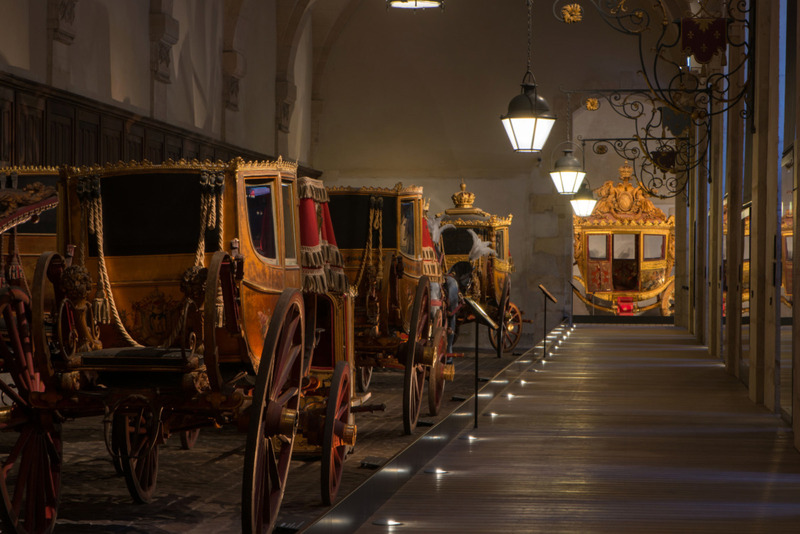 How do you avoid the queues at the Château de Versailles? What's the easiest way to get there from Paris? Where should you start your visit? One of the top ten most visited sites in France, the Château de Versailles gets its biggest crowds on the weekends and Tuesday mornings (it is closed on Mondays). So aim to visit between Wednesday and Friday. The result? Less waiting and a smoother visit around the palace. And note that buying a ticket in advance online allows you to go straight to Entrance A, without stopping at the ticket office. Also, to make the most of this immense estate and avoid an exhausting rush, do consider setting aside a whole day for your visit. The ideal programme? Arrive early and start with a tour round the palace then head to the Trianon, which opens at 12.30pm. For the rest of the day, enjoy the magnificent park and gardens. The Passport ticket, available for one or two consecutive days, is a pass that gives you access to the whole Versailles estate, from the Château and the Trianon palaces, to temporary exhibitions, the gardens, the park and the Gallery of Coaches – and not forgetting events like the Musical Fountain and Musical Gardens shows. The Château de Versailles is easily accessible from Paris by train from the Saint-Lazare or Montparnasse stations, or by taking the RER C from Les Invalides. It is then a short walk from any of the Versailles stations (Rive Droite, Rive Gauche or Chantiers). For a stress-free visit around the estate, the little train is a perfect choice, for families especially. The trains circulate between the Château de Versailles and the Trianon palaces. Sheltered from the elements, comfortably seated, visitors can admire the garden vistas as well as the palace façades, without the effort. Take advantage of free admission to the palace gardens every day from 8am to 8.30pm to discover this botanical masterpiece created by Le Nôtre, the King's gardener, as well as some spectacular views of the palace. 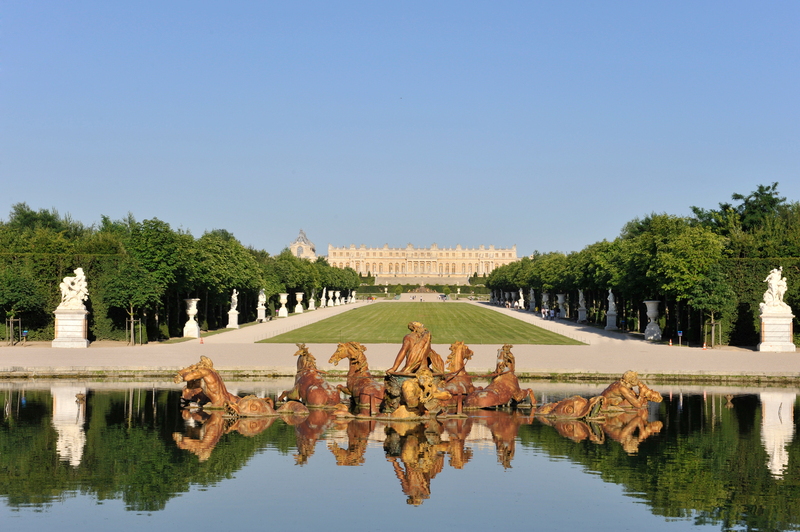 Filled with optical and light effects and majestic perspectives, the Versailles gardens are a sublime arrangement of art and nature. Dozens of statues add to the charm, creating the effect of an open-air museum. The Musical Fountain and Musical Gardens shows offer visitors access to the groves,the leafy copses favoured by the Sun King and his court for entertainment, which are closed to the public the rest of the year. Do note: the gardens close at 5.30pm during the Fountain Night shows. Good news! Versailles is well equipped when it comes to restaurants. And there is no lack of delicious options. The most prestigious, Alain Ducasse's Ore Restaurant set in the Dufour Pavilion, offers exceptional evening dining. During the day, the elegant café with its contemporary décor provides breakfast, lunch, and a "Thé de la Reine" afternoon tea, which mixes sweet and savoury treats for a truly refined feast. Angelina's restaurant and tea rooms will delight children and chocolate lovers. On the banks of the Grand Canal, meanwhile, you can have lunch at La Flottille or pick up supplies there for your own picnic. There are also vendors throughout the garden selling cold drinks. 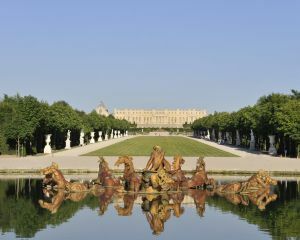 Emblematic of the pomp and splendour of Louis XIV’s reign, this most superlative of palaces offers visitors an incredible immersion in the history of France.